Tell Hamoukar in Syria from above. Photo: Jesse Casana, Jackson Cothren and Tuna Kalayci. A new atlas that contains satellite images of the Middle and Near East, taken during the Cold War has helped scientists idenify and re-define the limits of ancient sites now lost. “Some of these sites are gigantic, and they were completely unknown,” says archaeologist Jesse Casana of the University of Arkansas, whose work, alonside other colleagues, led to the production of the newly presented Corona Atlas of the Middle East. What is special about the new atlas is that it exclusively features spy-satellite photos taken between 1960 and 1972 in the framework of the CIA/Air Force/Private Industry launched CORONA Project, which aimed to shield the US from Soviet nuclear attacks. Declassified since 1995, the photos, of extreme accuracy for their age, reveal features of the ground not known by common means and now lost forever due to later occupation, pollution and war. 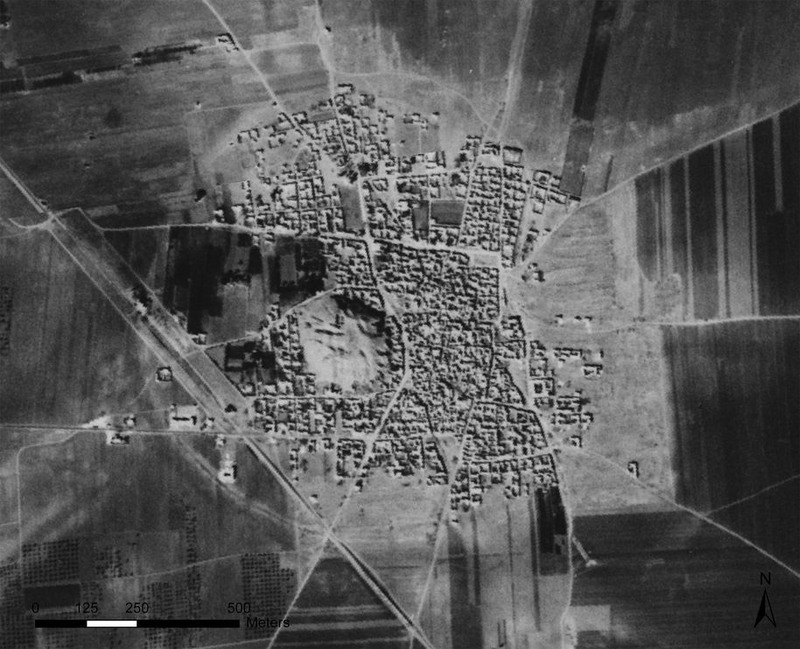 While using declassified spy-satellite photos is not new to archaeologists, the gathering and publication of such images to such an extent is definitely a first. According to Casana, the team had started with a list of roughly 4,500 known archaeological sites across the Middle East but eventually “the spy-satellite images revealed another 10,000 that had previously been unknown”. Of those sites, the largest are revealed in Syria and Turkey and are mostly of Bronze Age date. Elements such as citadels, walls but also ancient roads and canals are visible and detectable. An invaluable tool for the archaeologistrs of the future, this window to the past was presented last Thursday at the Annual Meeting of the Society for American Archaeology.